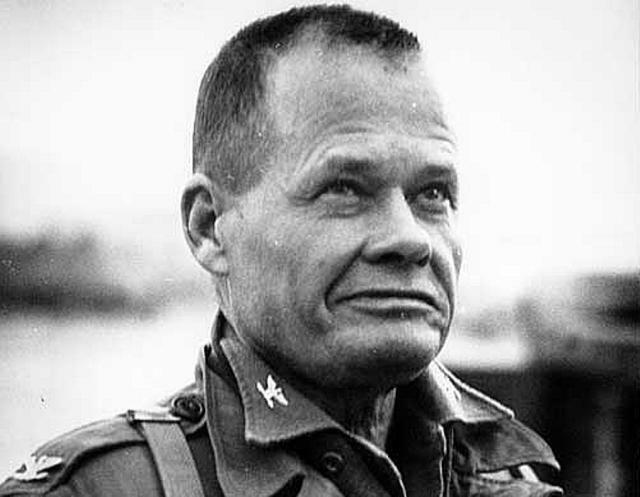 Wounded Times: MOH for Chesty Puller? Is it time to give Chesty Puller the Medal of Honor? More than 300 Marines have earned the Medal of Honor since award’s inception in 1861. But missing from that list is perhaps the most legendary Marine, whose memory still looms large in the lore of the Corps: Lt. Gen. Lewis B. “Chesty” Puller. Puller earned five Navy crosses, the nation’s second-highest honor for valor. At least two serious attempts have been made to get one of Puller’s awards upgraded to the Medal of Honor, but they failed. Even today, Marine veterans and devotees still grumbled that Puller deserves to be recognized with the nation’s highest honor and the book has not been closed on the matter. “Marines still today in boot camp chant his name. They all still do know about him and they should keep his spirit alive,” said Kim Van Note, president of the Basilone Memorial Foundation, a charity named for one Marine Medal of Honor recipient who served under ­Puller’s command at Guadalcanal, ­Gunnery Sgt. John Basilone.